Dr. Won-Sun King is interested in engineering and technology education of construction. Research topics about structural engineering, engineering ethics, green building materials, and social engineering responsibility with judiciary problems are studied too. 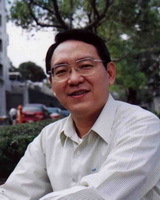 Dr. Won-Sun King is professor of Department of Construction Engineering at Chaoyang University of Technology, Taiwan, Republic of China. He earned his Ph.D. from the School of Civil Engineering at Purdue University, USA in 1990. He is interested in engineering and technology education of construction. Professor King can be reached at wsking@cyut.edu.tw.